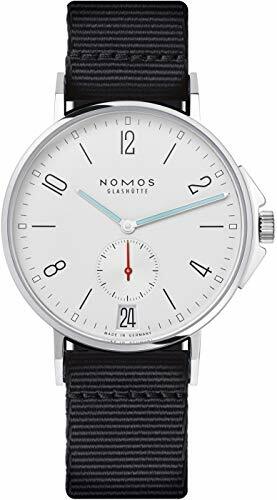 Nomos are one of the premiere watchmakers hailing from Glashutte, Germany’s equivalent of the Jura watch region in Switzerland. 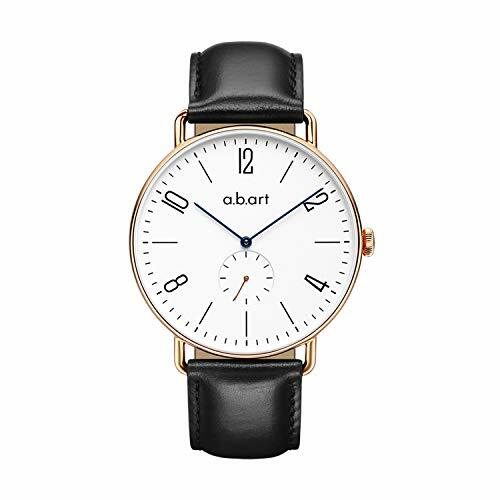 They produce high-end bauhaus style watches that anyone who loves minimalist watches would lust after. Who wouldn’t? The challenge for most of us is that Nomos watches usually retail for a thousand bucks and up. So, in this article I will show you a large range of Nomos homages and alternatives on offer online. Watches that in some cases are almost completely identical. a.b.art has created an almost identical and affordable Nomos watch here. The typical Nomos Arabic numerals, only appearing at 2, 4, 8, 10 and 12, are created using a typical Bauhaus font. And the seconds sub-dial is spot on at the 6 o’clock position. Of course, you also get what you pay for with this watch – except for the sapphire crystal which is rarely seen at this price point. 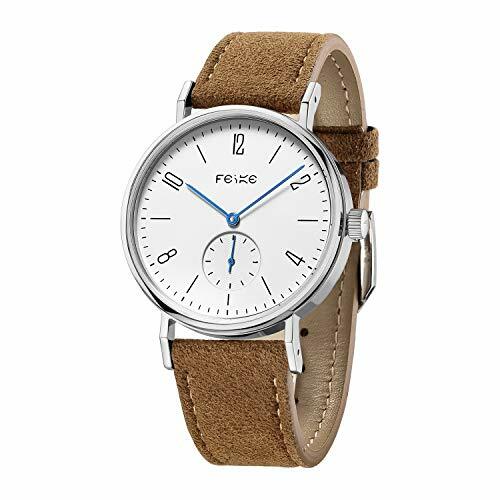 It comes with a range of bands, from standard leather, alligator leather or a nylon strap, so you have a few options in terms of specific styles. 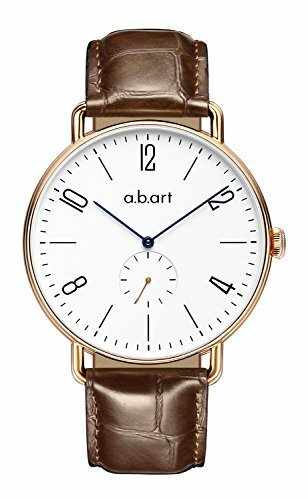 This Feice watch is almost identical to the abart above, but does have a few subtle design differences. First, the case is silver instead of gold, so offers a more subdued style many will prefer. Second, the crown is slightly wider and more prominent. Lastly, the subdial is styled in sliver too, almost popping from the dial. Feice have also created this Nomos homage with some stylish strap options like this rough leather one pictured here, as well as a mesh stainless steel and standard leather you can see below. This watch also comes with an automatic, self-winding movement (albeit Chinese made) and a sapphire crystal. Yet it’s still relatively slim at 10mm thick and is only 38mm wide, so will suit slimmer wrists. 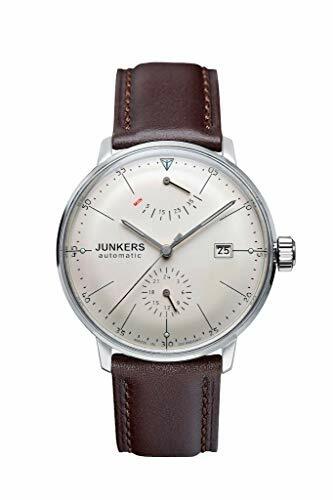 Junkers are another German watch maker that are all about Bauhaus minimalist style watches. This particular model follows the Nomos style in a number of different ways. The sub-dial at 6 o’clock is the most obvious homage to the Nomos, but there are a few others too. 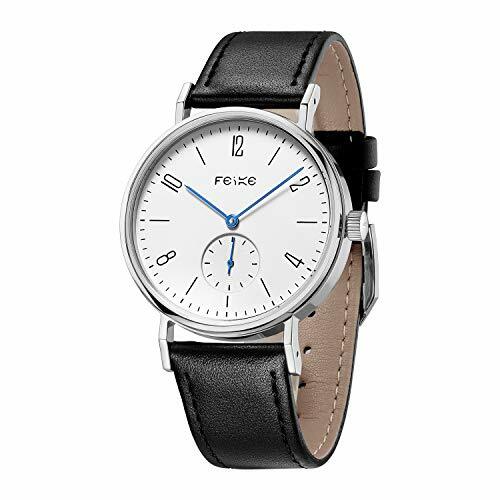 The clean circular steel case and leather band, along with the Arabic numerals at every even number. 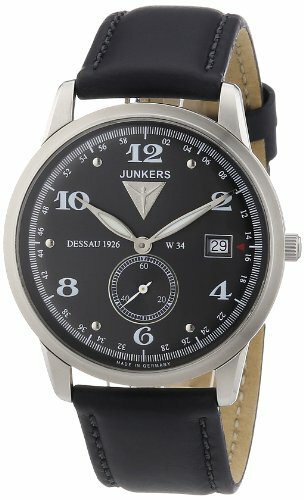 The rest is quite unique to Junkers and their own branding – the fine minute train around the bezel, their unique and bold branding at 12 o’clock and the somewhat non-minimalist sword hands that dominate the face using white on black. Veering further away from the super-minimal design of the Nomos, this alternative option is still very much a Bauhaus inspired watch. 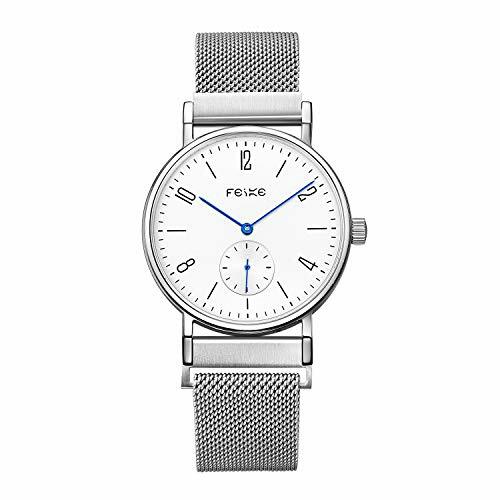 The plain white face with clean, long lines for hour markers and tiny 24 hour sub-dial are all very unique in style. The hands are also far more inline with the Nomos style, being straight and thin. 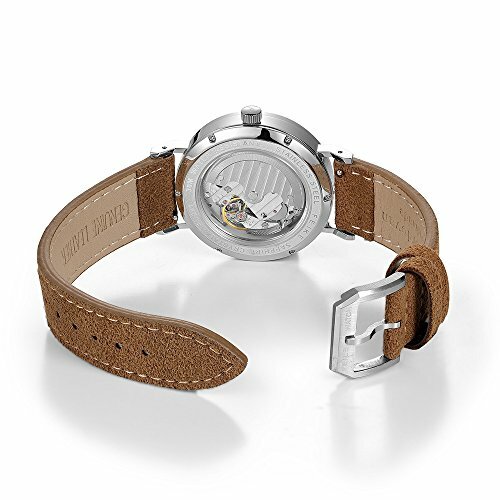 And the overall style of the case is following the round clean steel we know and love. This watch also features a power reserve indicator at 12 o’clock which shows you how much charge you have in the movement. Another German manufacturer, but that comes as no surprise when talking about Nomos alternatives (and Bauhaus style for that matter). Max Bill was actually one of the key players in the Bauhaus movement, so having his name on the watch makes sense. This watch is extremely clean with black markings on a pure white dial. There are three thin hands, instead of a seconds sub-dial. And both a complete set of hour and minute markers around the dial, all using the Bauhaus style fonts. 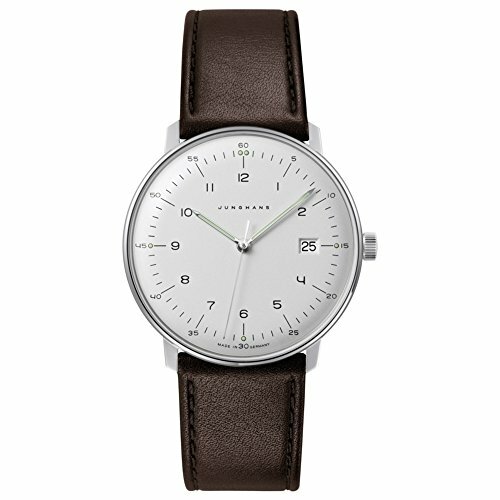 Junghans have also snuck in a small but useful date window at 3 o’clock, for those who love to know what day it is. But otherwise this watches sticks to its minimal roots. Stowa has been around for just over 90 years in Germany and is considered one of the original Bauhaus watch manufacturers. Just recently they re-designed their Antea range, more specifically Hartmut Esslinger did. He used inspiration from the original watch and many of the elements from the masters of Bauhaus including the type face and colors as well. 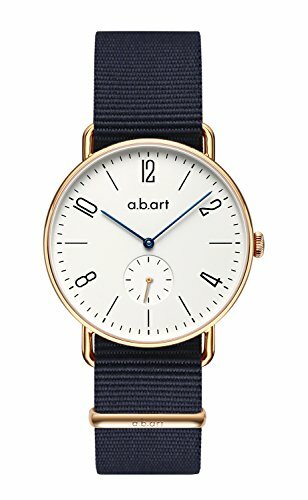 The result is the classic styled Bauhaus design, with the tall, clear lettering, the numerals following the curve of the dial and the blue hands accentuated against the minimalistic black and white background. If you want to get your hands on a true Bauhaus watch – this is one to get. And it’s still very affordable. 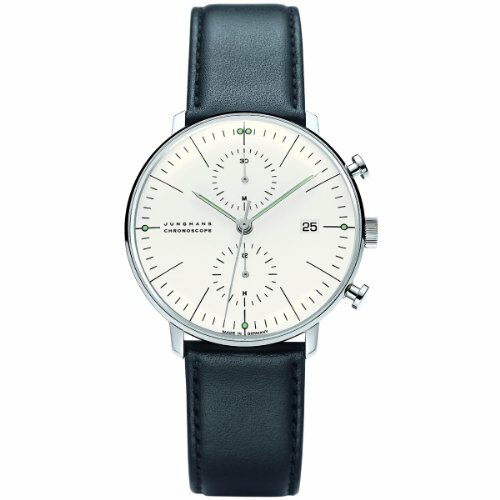 Another more expensive option from Junghans is this chronograph also featuring Max Bill’s name. In some ways it is more minimalistic than the earlier Max Bill I have shown you. There are no numbers on this watch, except on the sub-dials. But it does come with two sub-dials, which are there for the chronograph instead of an alternative second hand like on the original Nomos. 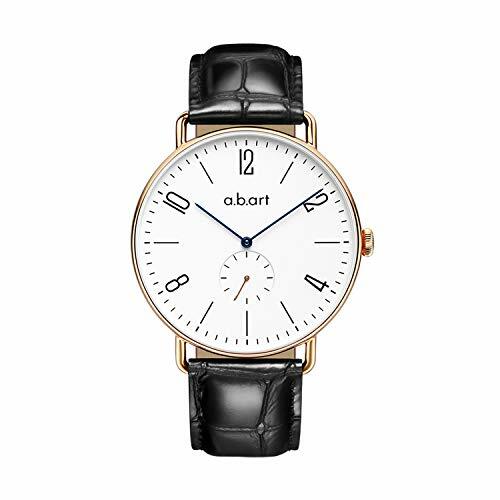 It also comes with a date window and a Swiss made automatic movement, which might sway some of you to spend that little big extra on this stylish watch. 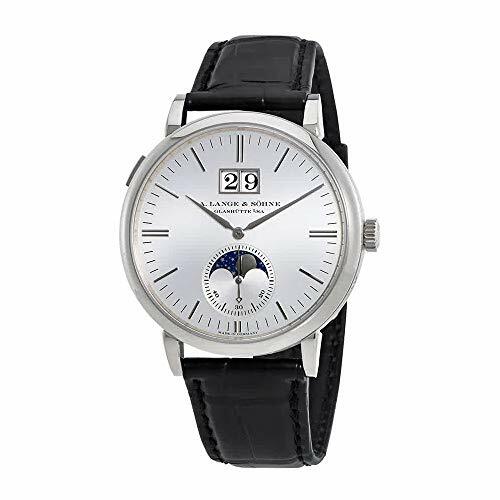 Lange & Sohne are one of the original watchmakers in Glasshütte, and produce stunning high-end watches. This is one you might just have to put on your wishlist for that time when you have some extra thousands of dollars lying around! Again, it is pure minimalism, at least when we ignore the sub-dial. No numbers for hour markers, just Bauhaus style, thin, straight lines. The seconds sub-dial is truly unique, adorned with a sun/moon measurement in the upper portion.